Baccarat Puffed Heart Baccarat Zinzin Large Red Heart. Handcrafted heart sculpture. Lead crystal. Red large Zinzin Heart. 2.75"W x 3.5"T. Designed by Nicolas Triboulot. Lead crystal. Made in France. The universal symbol for love, loyalty, and peace, this serene dove figurine is the perfect wedding, anniversary—or anytime—gift. Made in France. Handcrafted crystaline figure. Satin hand finish. Made in France. Paperweight made of crystal. Handcrafted bud vase. Lead crystal. In 1927, René Lalique's boundless imagination and creative genius lead to the creation of the Bacchantes vase. The iconic design features the young priestesses of Bacchus and their voluptuous beauty and curves. A work of unparalleled beauty, the splendor and sensuality of the vase continues to leave admirers spellbound. The petite version of this iconic vase is transformed when presented in striking black crystal. Clear crystal figurine. Approximately 3"Dia. x 4"T. Made in France. Handcrafted re-interpretation of the iconic Bacchantes vase. Satin-finished lead crystal. A portrait of elegant simplicity, this classic sculpture combines a blend of frosted and smooth glass with delicately formed, fluid lines for a piece that is both sensual and seductive. Handcrafted puzzle. Brass. Handcrafted heart-shaped box of porcelain. Enamel flowers hand-set with Swarovski® crystals on removable lid. 18-karat bright gold; light brown antiqued finish. Handcrafted embossed shagreen heart-shaped tray. Brass hardware; suede lining. A charming gift for your favorite newlyweds, this set of mugs is designed by Libby VanderPloeg in collaboration with Anthropologie. Heart-shaped plate with fluted rim boasts that unmistakable Courtly Check® pattern from MacKenzie-Childs®. Show off its good looks as a serving dish or simply display all on its own. A lovely gift for newlyweds, this set of teacups and saucers features gilded edges and whimsical details. Inspired by Ellen's love of artisanal, yet simple designs, Ed crafted by Royal Doulton encourages everyone to embrace their own style and express their individuality throughout all parts of life. Bringing some of Ellen's favorite sentiments to life, the Joy Collection injects a touch of positivity and optimism into your home. The Joy set of four 6" Plates feature four key values that Ellen lives her life by 'Joy', 'Love', 'Smile' and 'Kindness'. Ideal for serving tapas, appetizers or desserts, this set perfectly accents any dinnerware or can be used on its own. Inspired by Ellen's love of artisanal, yet simple designs, Ed crafted by Royal Doulton encourages everyone to embrace their own style and express their individuality throughout all parts of life. Bringing some of Ellen's favorite sentiments to life, the Joy Collection injects a touch of positivity and optimism into your home. The Joy set of four Mugs feature four key values that Ellen lives her life by 'Joy', 'Love', 'Smile' and 'Kindness'. Perfect for enjoying coffee, tea or desserts with loved ones. Inspired by Ellen's love of artisanal, yet simple designs, Ed crafted by Royal Doulton encourages everyone to embrace their own style and express their individuality throughout all parts of life. Bringing some of Ellen's favorite sentiments to life, the Joy Collection injects a touch of positivity and optimism into your home. The Joy set of four 5.5" Bowls feature four key values that Ellen lives her life by 'Joy', 'Love', 'Smile' and 'Kindness'. Perfect for anything from snacks and desserts to storing jewelry or keys, these bowls are a must-have. This colorblocked and embroidered pillow lends a touch of cozy charm to any sofa or chair. 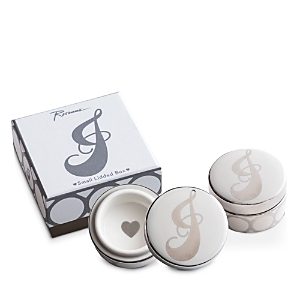 A great gift idea for any couple, especially newlyweds! These elegant towels feature Mr. and Mrs. embroidery in a lovely pewter hue with coordinating decorative trim. 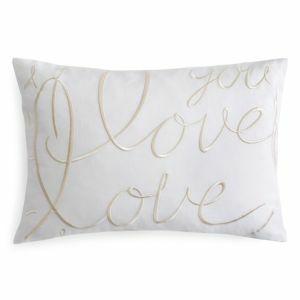 Add a pretty accent to your space with this oblong-shaped lumbar throw pillow, wonderfully created for the Deny Designs' Lisa Argyropoulos Hello Love Warm Blush collection. Handcrafted gold-tone photo frame with cutout heart silhouette. A romantic love story depicted in solid marble. A black marble swan and a white marble swan are intertwined on a solid black marble base. The swans are not attached to the base, so you can arrange them however you want within the confines of the size and shape of the marble base. The truth about swans: Swans' love for their partners is so deep they mate for life. They are creatures of myth that only sing when they are dying.... but whatever feelings they may have for each other, this loyalty is a strategy for maximizing the number of cygnets they can raise. Did you know? Black swans are native to Australia but have established populations in England and other countries including the US. All mute swans in the United Kingdom belong to the Queen and are known as "mute" swans as they make only a small sound. Vase with full lips on one side, mustache on reverse. 6"Dia. x 11"T. Matte porcelain. Moist rum cake made with sugar, butter, flour, eggs, rum, and buttermilk. After graduating with a degree in textile design, Becky Prinn moved to a quiet village in Yorkshire, where she currently lives with her husband, son, and two cats. Inspired by contemporary mixed media designers, retro 50s graphics, and folk art, her vibrant work is a deep expression of self, meant to color the lives of those around her. What's not to love? Heart-shaped pretzel crust covered in sweet, irresistible toppings—semi-sweet chocolate, white chocolate, M&M'S®, mini chocolate chips, sugar cone pieces, chocolate cookie crumbs, and heart-shaped sprinkles. Cover: linen; pillow's shell: cotton/percale; fill: new pure duck feathers Universally desired and uniquely experienced, love finds expression in every land and culture. 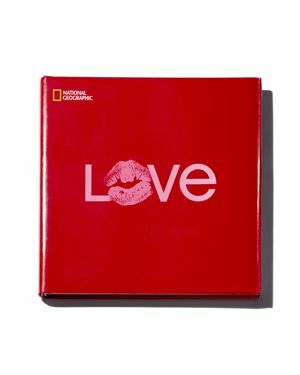 This enchanting new book celebrates the depth and diversity of love-at many moments in history, and at every human age-in an exquisite collection of photographs from National Geographic's famous archives and beyond. Each picture tells a tantalizing story and captures an intimate, unforgettable glimpse of love's many facets, from courtship to friendship to charity and more. Styled in luxurious silk which helps minimize wrinkles, prevent bedhead and reduce sleep creases. The sumptuous silk pillowcase lends next-level style and comfort to your sleep experience. A greeting with gusto, the Hello Darling Dots decorative pillow pops off a bench, bed or sofa with the cheery style of Deny Designs by Allyson Johnson Our lightweight duvet is made from an ultra soft, lightweight woven polyester fabric with an art printed top side. Our lightweight duvet includes a hidden zipper with interior corner ties to secure your comforter. It's comfy, fade-resistant, machine washable and custom printed for each and every customer. A mellow mix of flowers and fonts brings charming flair to the Floral You Are My Favorite decorative pillow from Deny Designs by Allyson Johnson. 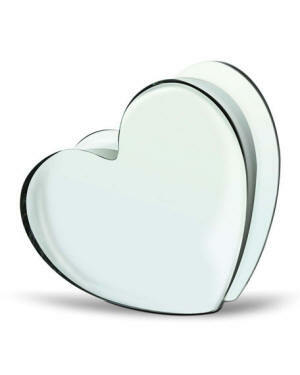 Orrefors Kostaboda Valentino Votive Michael Aram Heart Frame, 4" x 6" Beatriz Ball Giftables Curved Heart Frame, 5"Sq. 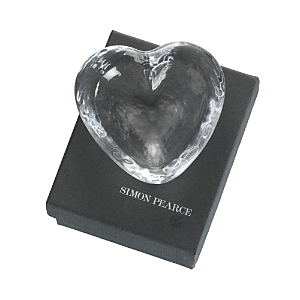 Endearing flutes are delicately engraved with patterns inspired by romance and love Handcrafted glass heart-shaped bowl. Ruffled edges hand painted with 24-kt. gold. Crystal. Glass bowl. Designed by Martti Rythkonen. Hand wash. Made in Sweden. Handmade, hand-painted majolica plate. Dishwasher/microwave/oven safe. 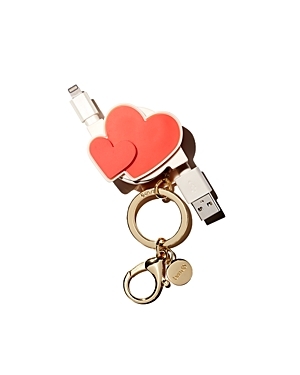 Add French-Luxury to your favorites--you never know when you might feel romantic!